More and more people love to create personal videos for sharing on YouTube. These people don't need professional video editing tool but for simple entry-level video editors. There are many video editing software packages available today which are easy to use and do some simple video prosessing tasks. Therefore, it can be an overwhelming task to choose the right video editing software for your needs. How to choose the right video editing software for you who maybe a beginner? Which is the easy-to-use NLE application? What criteria should you follow when picking video editing tool for you? Choosing video editing software can be daunting. There are many types of video editing software, all at different prices and offering different features. So here, let's teach you how to choose the best video editor for beginner. How to Edit Video with the Right Video Editor? If you only want to edit some personal camcorder recordings or home videos for sharing on YouTube, a entry level video editing software should meet your needs. Features included in entry level video editing software include the ability to trim video clips from the beginning or end, string together multiple video clips, add very basic video effect. Entry level video editing software will, in the majority of cases, not allow you to trim video clips from the middle. Your title screen will also be very basic in nature, with white text on a black background. If you are using a basic digital camcorder, the software should have a camcordere wizard to make it easier to load camcorder footages. That depends on your budget. How much money you plan to cost on a video editing tool will be the first and foremost on the list of factors to consider when purchasing a video editing package. If you're a beginner, I recommend you go for cheaper software. I know many people swear by the powerful editing suites like Adobe Premiere Pro, but for the average user, it is complete overkill. 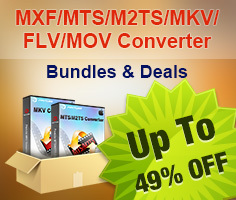 The cheaper packages save you money and will fulfill most of your video editing needs. You can always upgrade to better software when you're more experienced. The last factor you should consider is the ability to import and export various formats of video files. If you want to import DJI drone recordings, Canon footages and edit them, check the package to ensure you can import those video formats. Same thing for exporting video files - if you want your finished product to be a YouTube media files, ensure the package supports that feature. 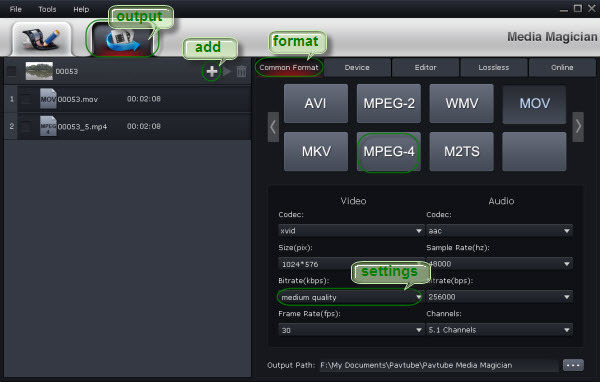 Pavtube Media Magician (Only $23) will be the best easy-to-use and feature rich editing tool for Windows XP/Vista/7/8/10. Such a great video editor for Windows helps you to edit all regular video formats to share with the worldwide. other video formats (*.avi,*.divx, *.wmv, *.wma, *.asf, *.dvr-ms, *.wav, dts in wav, *.rm, *.rmvb, *.ra, *.mov, *.qt, *.mp4, *.3gp, *.3g2, *.dv, *.m4b, *.m4v, *.m4a, *.aac, *.flv, *.f4v from YouTube, Hulu, Fox, etc., *.dat, *.mpg, *.m2v, *.m2t, *.m2ts, *.ts, *.tp, *.evo, *.mkv, *.dv, *.flc, *.fli,*.gxf, *.pss, *.mvi, *.mtv, *.vdr, *.pmf, *.pva, *.k3g, *.vp6, *.nsv, *.nuv, *.dmskm). 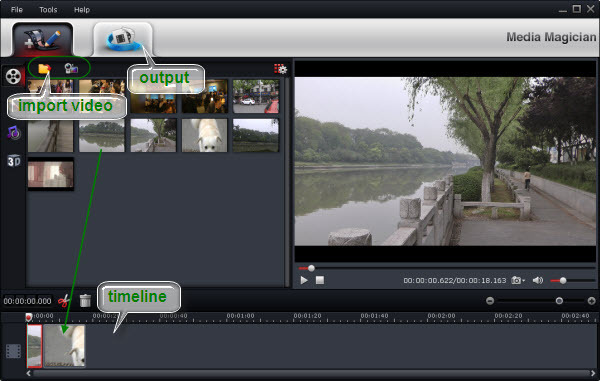 Thirdly, this video editing software has rich video editing function: trim, cut, combine in a few clicks, convert 2D to 3D, adjust brightness, contract, saturation, as well as add special effects like Aged Film, Simple Gauss Blur, edit video by frame, timeline editing without rendering, capture picture in certain frame, etc. Fourthly, with Pavtube Media Magician, you can edit video, convert video to YouTube and then directly upload video to YouTube. Fifthly, when loading camcorder videos to this video editing tool, you can get a camcorder wizard. Sixthly, if import MTS/M2TS/MOD/TOD video with same codec, you can output lossless videos with original format or MKV. And on the timeline, you can accurately cut and trim unwanted commercials at any point and join them into one. More features in Media Magician review. How to Edit Video with the right Video Editing software?